Former residents of an Ontario, Canada, psychiatric facility have been given the green light to proceed with a class action civil suit against two psychiatrists who, for years, carried out torturous treatment programs. Given the nature of the torturous “treatment” residents were subjected to, one can only wonder why the named psychiatrists are not being held criminally responsible for the acknowledged abuses. The class action lawsuit includes 31 plaintiffs who were a part of the programs run at Oak Ridge between 1966 and 1983. Defense Disruptive Therapy (DDT) involved forcibly giving patients hallucinogenic and delirium-producing drugs in order to break down the patients’ defense mechanisms and force them to confront their abnormal behavior. Capsule Program involved chaining up to seven people together in a room, stripping them naked, and keeping them in that state for days at a time. Adding to the misery, the room was continuously lit and featured holes in the walls through which occupants were fed only liquid foods through straws. Patients were kept under constant surveillance and often given hallucinogenic drugs against their will. Patients at Oak Ridge were subjected to forced administration of drugs, physical restraint and sleep deprivation. Patients at Oak Ridge were subjected to forced administration of drugs (sodium amytal, a drug best known as a sort of “truth serum”, the stimulant methedrine, LSD and scopolamine, a drug with similar properties to sodium amytal), physical restraint and sleep deprivation. Justice Perell is allowing the case to move forward, providing plaintiffs the opportunity to show harm caused by virtue of having been subjected to Dr. Barker and Maier’s programs. However, while Perell’s determination that the programs amounted to torture, the case remains strictly a civil suit, despite torture being prohibited under the Criminal Code of Canada, albeit only relating to government officials committing the offense. Clearly in light of this current civil action, the law should be extended to psychiatrists administering torturous treatments. History, however, is replete with examples of torturous, even deadly, abuses carried out by psychiatrists under the guise of “treatment” that too often go un-prosecuted. In the case of Oak Ridge, Drs. Barker and Maier carried out torturous programs under the guise of rehabilitation of those accused of criminal acts. Historically, though, with no science to support even one psychiatric diagnosis, human rights abuses have repeatedly occurred in order to meet a specific objective on a specific group. For example, psychiatrists played a central and prominent role in the abuses that occurred in Nazi Germany between 1939 and 1945 with the killing of 200,000 mentally unfit which, ultimately, morphed into the “final solution,” the mass extinction of much of Europe’s Jewish population. The proof of psychiatry’s role in the holocaust is so pervasive that in 2010 (70 years after the killing spree) Dr. Frank Schneider, President of the German Association for Psychiatry and Psychotherapy (DGPPN), addressed a convention of psychiatrists about psychiatry’s role in the Third Reich. The abuse by psychiatrists did not end there. In the early 1970’s the former Soviet Union was exposed for its psychiatric human rights abuses of political dissenters, as is the case in China’s recent abuses against the Falun Gong. 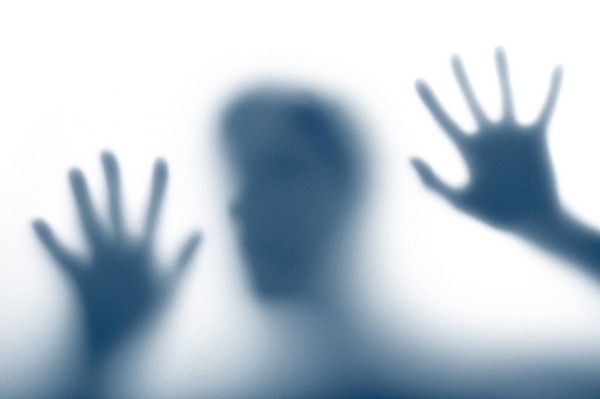 Even patients in the United States are not immune from abuse and human rights violations at the hands of the psychiatric establishment, as evidenced by recently reported abuses among several psychiatric facilities, including those facilities owned by United Health Services (UHS), where patient suicides, restraint deaths, falsified records, and sexual assault of patients are just some of the alleged abuses occurring at the facilities. Among some of the more egregious accusations of abuse involve the UHS Rock River Academy in Cook County, Illinois, where one girl alleged staff “intentionally administered psychotropic drugs which they used to keep her in a semi-conscious state so that she could be more easily manipulated and sexually abused.” A lawsuit on behalf of five plaintiffs was filed in September 2015 with the Cook County Court. While acknowledgement of the abuse and financial compensation may provide some comfort to the victims, short of consistent criminal prosecution of those responsible for the abusive psychiatric practices, history is condemned to repeat itself. The tortuous psychiatric practices at yet another psychiatric facility, Oak Ridge, provide ample proof. Michelle McQuigge, “Treatment at mental health facility was ‘torture,’ Ontario judge finds,” Times Colonist, June 8, 2017, http://www.timescolonist.com/treatment-at-mental-health-facility-was-torture-ontario-judge-finds-1.20485491. Michelle McQuigge, “Ontario Psychiatric Hospital Tortured Patients: Judge,” Huffington Post, 8 Jun 2017, http://www.huffingtonpost.ca/2017/06/08/treatment-at-mental-health-facility-was-torture-ontario-judge-finds_n_17004838.html. 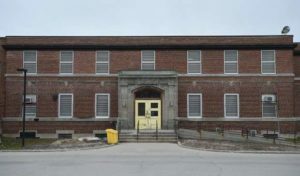 Bazar, J. L. “The Oak Ridge program,” Remembering Oak Ridge Digital Archive and Exhibit, 2015, https://historyexhibit.waypointcentre.ca/exhibits/show/treatment/or-program; Michelle McQuigge, “Ontario Psychiatric Hospital Tortured Patients: Judge,” Huffington Post, 8 Jun 2017, http://www.huffingtonpost.ca/2017/06/08/treatment-at-mental-health-facility-was-torture-ontario-judge-finds_n_17004838.html. Von Cranach, Michael, Schneider, Frank, “In Memoriam,” Springer Verlag, 2010. Frank Schneider, “COMMEMORATIVE SPEECH: Psychiatry Under National Socialism: Remembrance and Responsibility,” Eur Arch Psychiatry Clin Neurosci, Sep 2011, http://paperity.org/p/30039190/psychiatry-under-national-socialism-remembrance-and-responsibility. Richard J. Bonnie, LLB, “Political Abuse of Psychiatry in the Soviet Union and in China: Complexities and Controversies,” J Am Acad Psychiatry Law, 2002, http://jaapl.org/content/jaapl/30/1/136.full.pdf; Heng He, “Healing Betrayed: The Perversion of Psychiatry in China,” The Epoch Times, 14 Jul 2015, http://www.theepochtimes.com/n3/1462067-healing-betrayed-the-perversion-of-psychiatry-in-china/. Lorraine Bailey, “Severe Abuse Alleged at Illinois Home for Girls,” Courthouse News Service, 10 Sep 2015, http://www.courthousenews.com/severe-abuse-alleged-at-illinois-home-for-girls/.